The great indie bookstore, Square Books, on the Oxford square. Up until a couple of weeks ago, I felt like almost the last person on the planet who hadn't yet read The Help or at least watched the movie. There's already been so much written about the book, from reviews to intense debates about its merits and its place in talking about civil rights, that it feels pretty pointless for me to throw in my two cents about it all. But really, I'm just using The Help as an excuse to talk about Mississippi. Way back in 1995, I lived in Mississippi for a total of about 9 months, when I attended, very briefly, the University of Mississippi. (The school where The Help's Skeeter earns her English degree.) As you know by now, I'm a California girl, born and bred. Not to bore you with my entire personal history, but in 1995, I'd never traveled further east in the U.S. than a family trip out to Oklahoma for a week. I'd certainly never lived outside of my native state. Also, I was a “non-traditional” student, meaning that I didn't go to Ole Miss straight out of high school...nope, I was already well into my 20s, and had worked at several full-time office jobs while earning my General Ed credits at a community college. 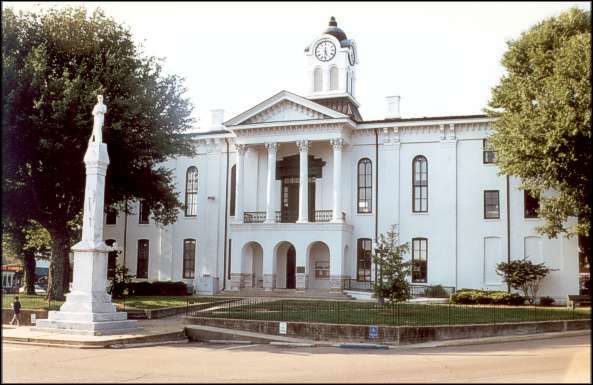 Courthouse on The Square, in Oxford. Image via here. Well. 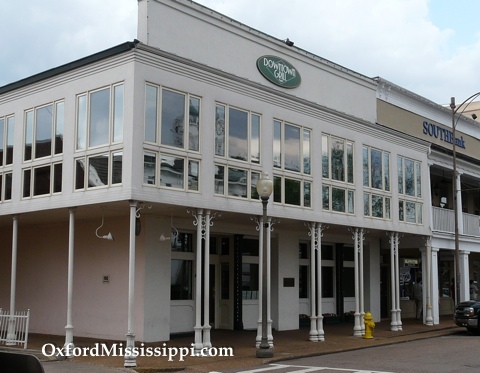 I landed in Memphis in January of 1995 and arrived in Oxford that same night, via a campus shuttle van that ferried students from the airport. I stayed in a chain motel overnight, and in the morning, tried to figure out how to get myself and two heavy suitcases over to my new home in campus housing. It was cold outside, near freezing. 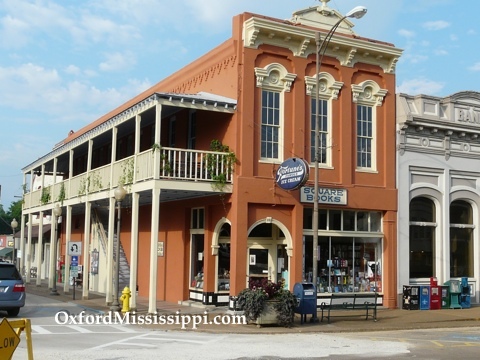 Oxford is in northern Mississippi, not far from the Tennessee border. And yes, it snowed while I was there. Let me say, my time in Oxford felt about as different and exotic from my home in L.A. county, as spending the same amount of time in say...Bora Bora. It was lush, and green and yes, there were telephone poles and fences choked with kudzu. There was water everywhere, in the form of streams and lakes and ponds and fishing holes. I saw and crossed the Tallahatchie Bridge, from where 'ol Billy Joe McAllister jumped in the old song. I ate more fried food than before or since (and frequently had an upset stomach) and spent an inordinate amount of hours exploring my first Wal-Mart (which hadn't yet made it's way to the West Coast). I walked and walked everywhere, that first winter semester. Out on the outskirts of town, I saw people living in a kind of rural, broken down poverty that I'd never experienced in my urban background. I had no car. After the summer break, I drove my car across the country. My little gray Nissan with its California plates and Janes Addiction sticker stuck out like a sore thumb. I shopped at the Jitney Jungle, because I could, because " hello, Jitney Jungle!" 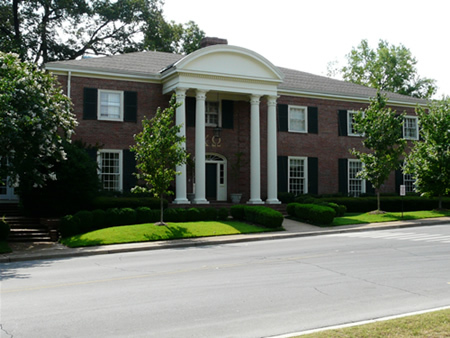 Totally unaware and unprepared for the dominating campus culture of Greek life, I walked alone past the pillared sorority and fraternity houses, waving their Confederate flags. 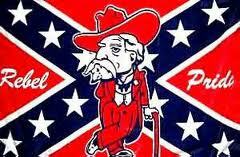 One frat house, on a Saturday, was waving the Rebel flag and blaring Lynyrd Skynrd out an open window. For all my loneliness, and isolation, and slowly dawning realization that I'd picked the wrong place, and didn't belong here, either, that one moment walking past that Chi Omega house made it all worthwhile. It felt so...iconic. I drove away in December of '95, heading west for home, for good. My then-boyfriend (now husband) had flown out from California and was driving a rented U-Haul with all my stuff and following behind. In retrospect, those nine months in Mississippi were really more about the early days of our relationship, about the hours and hours of long-distance phone calls between us (back in the old days before “unlimited long distance” phone plans). "The rash of negative accounts about Mississippi, in the movies, in the papers, on television, have made us natives a wary, defensive bunch. We are full of pride and shame, but mostly pride. Still, I got out of there. I moved to New York City when I was twenty-three. I learned that the first question anyone asked anybody, in a town so transient, was "Where are you from?" And I'd say, "Mississippi. "And then I'd wait. To people that smiled and said, "I've heard it's beautiful down there," I'd say, "My hometown is number three in the nation for gang-related murders." To people that said, "God, you must be glad to be out of that place," I'd bristle and say, "What do you know? It's beautiful down there." And yes, it was beautiful down there. 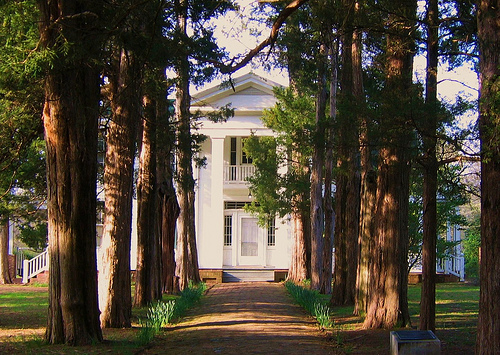 And someday, I'd love to go back, and see it again,, and browse through Square Books and visit Faulkner's Rowan Oak, like I did with my now-husband on a beautiful, memorable November day. In my photo album of that life-changing year is a picture of me, in a white t-shirt and jeans, standing right in that same alley of oaks. I may have been already well into my twenties, but my nine months at Ole Miss taught me that I was so naive. There was so much in the world that I knew nothing about.